WASHINGTON — If you feel the earth move under Pennsylvania Avenue, have no fear. 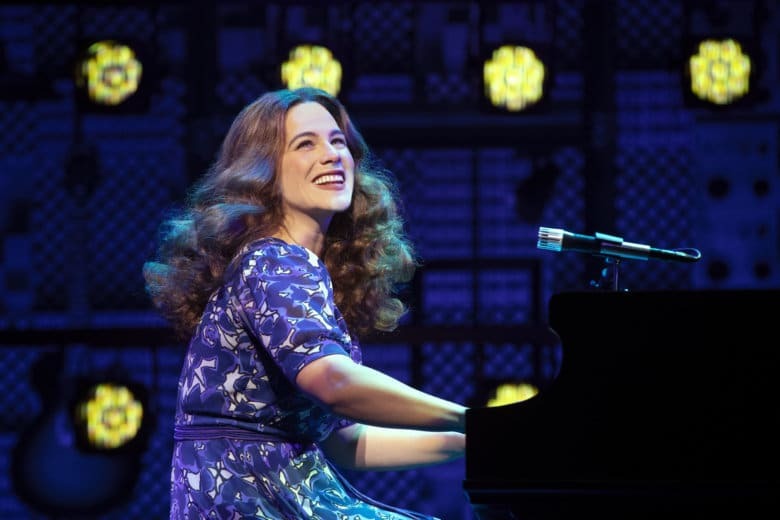 It’s just folks clapping along to “Beautiful: The Carole King Musical,” the Tony-winning Broadway smash that brings its national tour to National Theatre now through Dec. 30. The jukebox musical follows King’s rise to stardom after starting as a Brooklyn dreamer named Carole Klein (Bockel), who formed a songwriting team with husband Gerry Goffin (Dylan S. Wallach) to pen some of rock ‘n roll’s biggest hits. Along the way, they engage in friendly rivalry with Cynthia Weil (Alison Whitehurst) and Barry Mann (Jacob Heimer). Her journey begins at the famous New York City recording studio at 1650 Broadway, where we watch the King-Goffin team pen some of the biggest hits of the 20th century. That includes “Some Kind of Wonderful” for The Drifters, “Locomotion” for Little Eva, “It Might as Well Rain Until September” for Bobby Vee and “Will You Love Me Tomorrow” for The Shirelles. Meanwhile, the Weil-Mann team pens “You’ve Lost That Lovin’ Feeling” for The Righteous Brothers, “On Broadway” for The Drifters, “We Gotta Get Out of This Place” for The Animals and “He’s Sure the Boy I Love” for The Crystals, all while Cynthia plays hard to get from Barry. Did the two songwriting duos elevate each other’s work? It all builds to the show-stopping finale with the title number, “Beautiful,” presented as if it’s King’s celebrated Carnegie Hall performance in 1974 after her Grammy-winning success. For Bockel, it’s a similar breakout moment for her career, having understudied for both Abby Mueller at the Kennedy Center in 2015 and then Julia Knitel on the U.S. national tour in 2017.